Have you ever wanted to grow your own sunflowers? You should, especially if you're into history. Sunflowers may have been cultivated as early as 3000 BC by the American Indians of (present day) Arizona and New Mexico, according to scientific evidence. Used for everything from food products to dyes to ornamentals, this flower is as versatile as it is mysterious. 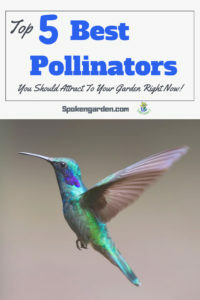 And, don't even get us started on its' ability to attract pollinators! In our Sunflower plant profile below, you'll learn that you can plant sunflowers and take care of them like a pro. How should you maintain and care for sunflowers in your garden? 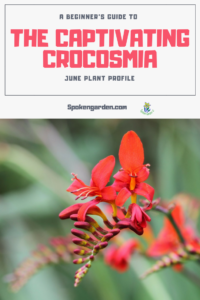 Read on to learn more about the history, common characteristics and more fun facts about this sunny plant. By the way, our plant profile guide below is meant for beginner gardeners but can be used by anyone who wants to learn more about this plant. We hope it's helpful! Save "The Gardener's Guide to Sunflowers: Sunflower Plant Profile" to Pinterest! Why not? Sunflowers are beautiful, playful, and exude happiness. 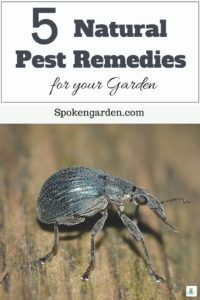 They grow in a variety of heights, sizes, and colors so they are bound to be tons of options available to plant in your garden. One mysterious fact is that sunflowers actually turn their face toward the sun and follow it throughout the day. Sounds like a great way to spend a day if you ask us. The science behind this phenomenon is quite interesting as well because scientists are not really sure why sunflowers behave this way. We think they do it because they can. Another reason we love sunflowers is their versatility. They can be cultivated and grown for their seeds, their oil, or just for their beauty. Plus, pollinators love sunflowers! Bees will land on the giant heads and get covered in pollen which they carry on to other sunflowers. Furthermore, at the end of the growing season, birds will eat the seeds and spread them around. Finally, we chose the sunflower for our plant profile due to its summer bloom time in our USDA zone 8b. The large, sunny blooms are equally welcomed by both us and the pollinators. Sunflowers, like daisies, are actually made up of two types of flowers. Each flower you see in this family is actually composed of one or more rows of "ray" flowers on the perimeter/edge and the "disk" flowers in the center. These two types of small flowers make up the whole "flower" you see on the plant. Pretty cool, Huh? Print your FREE Sunflower plant profile! Subscribe to our Spoken Garden community and receive your FREE Sunflower Plant Profile! Included in the plant profile: Sunflower general plant info, fast facts, companion plants, and a planning guide! Sunflowers are in the plant family Asteraceae (Compositae). Also known as the daisy family, this gigantic family group has more than 20,000 species of flowering plants throughout the world! Family members include Shasta daisies, zinnias, lettuce, and chrysanthemums to name a few. Evidence suggests the sunflower was cultivated around 3000 BC by Native Americans living in present-day Arizona and New Mexico. According to the National Sunflower Association website, sunflowers may have been domesticated prior to even corn! Sunflowers were used by the Native American tribes for several purposes. Apparently, it was a common crop that was domesticated and cultivated for use as in dyes, oils for skin and hair, ointments for snake bites, cooking, and baking. 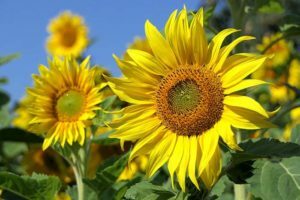 In addition, sunflowers were baked into bread and mixed with other vegetables for food, used in ceremonies, and used as a building material after drying their flower stalks. Talk about versatility! Sunflowers are well-travelled. Like we stated above, they originated in North America as early as 3000 BC. In the early 1500's, they were discovered and brought to Europe by Spanish explorers. In the early 1700's, English gardeners had the first patent granted to squeeze or extract oil from the Sunflower seeds. Following that, Russia got a hold of the sunflowers and began commercializing them for mass cultivation in the 1800's. Eventually, they made their way back to North America. Now that you’ve caught up on a brief history, let's move on to the common characteristics of the Sunflower! Cultivars General cultivars are 'Mammoth Russian', 'Russian Giant','Kong', 'Sunspot'; For cutting come in two types: 1) Pollen-Bearing types are 'Del Sol', 'Indian Blanket', 'Italian White', 'Lemon Eclair', 'Moonshadow', Parasol Mix, 'Soraya', and 'Teddy Bear'. Pollenless-bearing types, are classified as hybrids and don't shed on tabletops, are 'Bright Bandolier', 'Cinnamon Sun', 'Prado Red', 'Valentine', and 'Velvet Queen'. General Information In the Asteraceae family, related to Shasta Daisy, Asters, Zinnia, and others in this family. Annual plant propagated by seed. Native Environment Native to North and Central America. Water Needs Regular to lots of watering. Mature Height/Width The tallest can grow 10 feet high and 2 feet wide, where the smallest can grow 4 feet tall and 1-2 feet wide. Flowers range in size from 4 to 10 inches wide. Bloom Time Summer and into fall. Flower Colors Yellow, white, red, and other colored ray-flowers (perimeter petals). Colored-rays around the edge with a brown center of cushioned seeds. Growth Habit Upright and might need possible staking. Soil Needs Moist and, enriched soil. Fertilize? Sure. Every 2-weeks or so with a balanced fertilizer, but not required. If really fast draining soil and/or poor soil nutrition, then definitely use a balanced fertilizer. 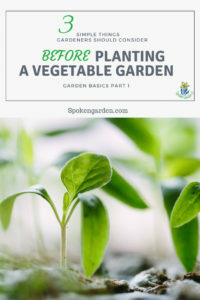 Plant Spacing Plant seeds in the spring at least 1 foot between each plant and for the larger sizes make it 2 feet apart. Suggested Companion Plant/s Smaller cultivars go well with other Daisy family plants and you can mix in with other evergreen shrubs. Taller cultivars should be in the back row behind other perennials like Shasta Daisy's, or Crocosmia, but could also do well planted behind some ground covers like Vinca, St. John's Wort, and others. Maintenance Level Low, besides staking and watering regularly using a balanced fertilizer. When the flower is spent, you can cut the flower off the plant and harvest the brown center cushion of seeds, if you like. Then in mid-fall, remove the whole plant. Pest Susceptibility Sunflower Beetle, Weevil, other beetles, Thrips, Wireworms, Earwigs, Crickets, and Rutherglen Bug (only in Australia), Earworms, and Loopers. Poisonous to Pets? Considered non-toxic in general, but any plant material ingested by pets can upset their stomachs resulting in vomiting. Edible for Humans? Yes, the brown center cushion of seeds can be harvested for many different uses, including baking, oil, and other uses. - Brought to Europe and Russia for cultivation and commercialization, then back to the America's. - Grown for use in cooking oils, skin and hair products, raw (wildlife) or baked (human) seed consumption, and of course for sunny-huge-flowers in your garden. Want to buy your own Sunflowers after learning all about their characteristics? 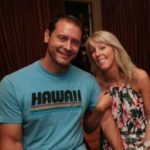 Check out this great website for one of the best online nurseries that will ship you the plants. Spend at least $50 and get $5 off your whole purchase. It's not a lot, but it'll save you on the shipping or taxes! Even with its interesting history and versatility, the sunflower remains simple. All it wants is a good view of the sun and a little bit of maintenance. Perfect for either the beginner or busy gardener, sunflowers are uncomplicated. While not asking for much, they are a low-maintenance, beautiful addition to any garden that will brighten your day. 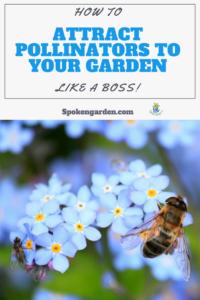 Plus, the pollinators love them! Thanks for reading and we hope we inspired you or educated you in some way with our plant profile of the sunflower. 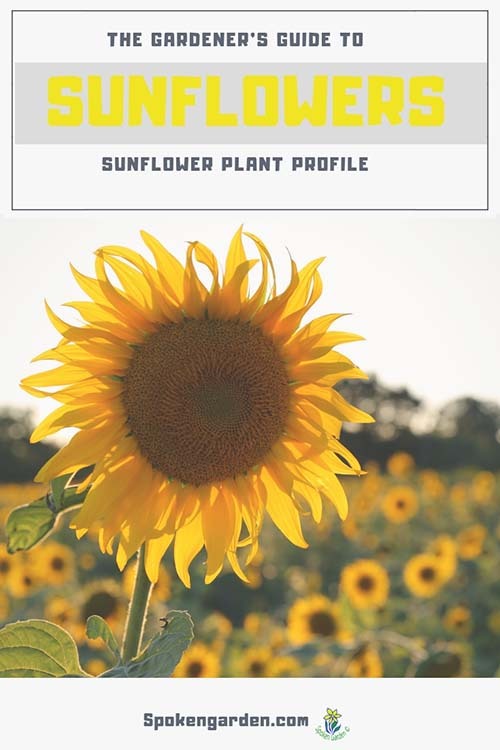 Check out our Resource Library page for a FREE printable version of this sunflower plant profile as well as other plant profiles! 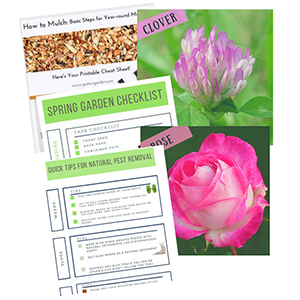 PLUS, there are other Freebies in our Resource Library for YOU! « 7 DIY Ideas For Awesome Outdoor Entertaining In Any Season!